The most frugal grocery shoppers are obviously the people who, grow their own food. This is the perfect time of year to install and build a vegetable garden in your back yard! Not only is it cheaper to grow your own food, but the food will taste better, have more nutrients, and not be loaded with GMO’s or pesticides. Most vegetables that you buy at the store have vast amounts of pesticides sprayed on them. Many of them even after washing and rinsing these plants, some residue of pesticides remain. 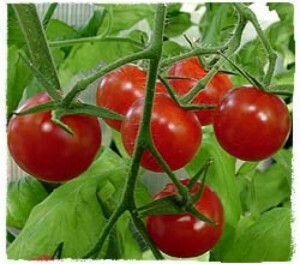 Growing your own plants insures your vegetables are “pesticide free”; they are organic which also insures the most nutrients and by harvesting often you can keep the plant in growing mode, which increases your total yield of crops from each plant. Since the spring and summer season are upon us, there is no better time to plant a garden than RIGHT NOW! 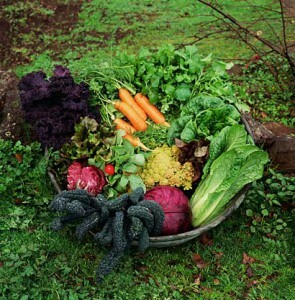 It does not have to be a big garden, using your whole back yard to grow a large amount of food. It can be just a container garden, growing your vegetables and herbs in small, medium or large pots on your patio. Many people that live in apartments don’t have any yard to grow a garden. They can do quite well growing inside their apartments. However it is always best to use the best frugal power supply, which is sunshine and outside fresh air. 1. Start your plants from seeds. You would obviously do this before spring arrives because you want your plants to already be growing and small in size to get a jump on the weather. If you are a repeat gardener, then you probably already have seeds left over from the previous year saved in an envelope to plant next spring. This is the best most frugal way to grow your garden. You spend money once, then harvest from those seeds, year after year. 2. Plant companion plants to keep pests away. Insects hate garlic, onions, chives, marigolds, and chrysanthemums. To keep caterpillars, aphids, and other plant eating pests at bay plant marigolds or chrysanthemums around tomatoes, or in the same container/pot as your tomatoes. Keep other leaf eating pests away from all your other vegetables by mixing onions, chives, and garlic in or around your plants. 3. 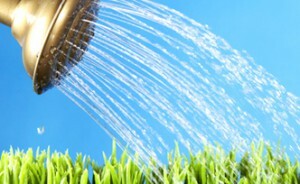 Over watering is far worse than under watering. You can rescue a thirsty plant by soaking it. It is much harder to dry out soggy roots. 4. Plants do best if they are well suited to your growing area. Go to your area nursery to see what plants they have on sale or even ask what do they recommend for your area. Then choose wisely. 5.Garden vegetables that become over-ripe are an easy target for some pests. Remove them as soon as possible to avoid detection. 6. 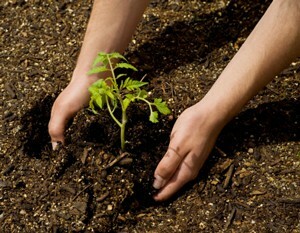 When transplanting tomatoes, cover the stem with soil all the way up to the first set of leaves. This greatly encourages root growth, making a stronger, healthier plant. 7. Another reason to use natural and organic fertilizers and soil amendments: earthworms love them! Earthworms are extremely beneficial in the vegetable garden; increasing air space in the soil and leaving behind worm castings. Do what you can to encourage earthworms in your soil. Healthy soil means a thriving population of microbes, earthworms and other organisms. 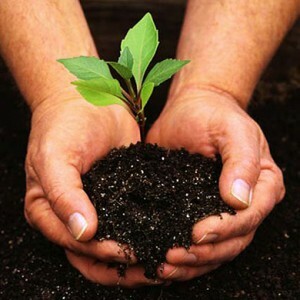 A soil that has a “good condition” will produce robust garden plants that are better able to resist pests and disease. By using just a 5% increase of compost you can quadruple your soils ability to store water. 8. Water your garden in the early morning to conserve moisture loss and to help avoid powdery mildew and other fungal diseases that are often spread by high humidity levels. 9. Onions will be ready to harvest once their tops have fallen over. Late in the season, you may opt to leave some of these onions in the soil. They will go to seed next years garden. 10. 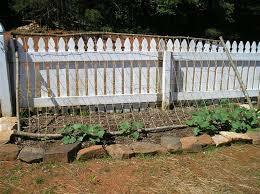 I like growing cucumbers, watermelon, cantaloupes, or squash up next to my fence. I then hang a wire mesh on the fence so the vines can grow up (vertical) onto the mesh. This makes harvest so easy and allows plants to grow as much as they want without overcrowding. 11. If you are vegetable gardening in containers, buy the good potting soil that is free of diseases, pests larvae and weed seeds. Potting soil is lighter than garden soil, so it also must be watered more often. Tests your soil with your finger. Poke your finger two or so inches deep in the soil. If your finger is dry, it is time to water. 12. To turn a clay pot into a hose guide, just stab a roughly one-foot length of steel reinforcing bar into the ground at the corner of a bed and slip two clay pots over it: one facing down, the other facing up. The guides will prevent damage to your plants as you drag the hose along the bed. 14. Use leftover tea and coffee grounds to acidify the soil of acid-loving plants such as azaleas, rhododendrons, camellias, gardenias and even blueberries. A light sprinkling of about one-quarter of an inch applied once a month will keep the pH of the soil on the acidic side. 15. The best way in the world to dry herbs: just lay a sheet of newspaper on the seat of your car and arrange the herbs in a single layer. Roll up the windows and close the doors. Your herbs will be quickly dried to perfection. What’s more, your car will smell great. 16. If you are growing your garden in containers, to protect the plants from stress of high temperature, before putting soil in pot, line the edge with bubble-wrap. This will protect the roots from the heat building up on those hot summer days. 17. Don’t throw away the egg shells. Use them in your garden! I crush my egg shells and sprinkle them in my garden. This will insure the area protected from slugs, snails and soft-body creatures. 18. Instead of using stones in the bottom of your pots for drainage, by using screen wire over the drain hole, root devouring pests can’t get into your pot. Nylon hose also is great to use because your soil will not leak from drainage hole. 19. Remember to include herbs in your garden, like dill, parsley, mint, garlic and basil. These spices and herbs are very easy to grow yet also expensive at the store. 20. Plant in Blocks. According to Colorado State University Extension research, you can quadruple per-square-foot production of small kitchen vegetables such as lettuce, carrots and beets by planting them in blocks within wide beds rather than in rows. Block planting makes efficient use of space by keeping the spacing between plants tight and eliminating unnecessary pathways. I hope you found these tips helpful to you in starting your own vegetable garden. 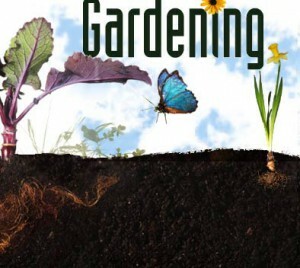 I would love to hear your comments or suggestions about your own advise in gardening. If you know someone that can benefit from this article, please share it with them. People obviously need to eat vegetables and fruits to maintain optimum health. I like the tips you give here. It will make us want to grow them ourselves, save money in the process and enjoy doing so. I appreciate you reading my article on how to save money on food. Gardening doesn’t have to be difficult. I grow my tomatoes on my patio in flower pots. This way, they don’t get too big and harvesting is easy. You are absolutely right Angel about the food (crops) you grow in your garden taste better. That is because the soil is not depleted of nutrients (where as commercial land is totally void of good nutrients in the soil). The second and maybe the most important, your crops are NOT GMO crops. GMO’s are not good for you because they are man-made by forcing plants DNA together which would never happen in nature. (Mother nature knows best).